Which countries belong to the EU? 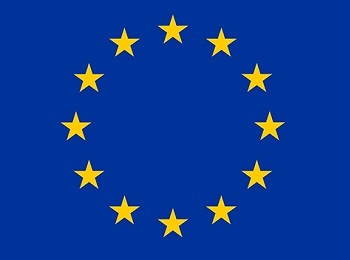 The European Union (EU) is a political and economic union, consisting of 28 member states that are subject to the obligations and the privileges of the membership. Every member state is part of the founding treaties of the union and is subjected to binding laws within the common legislative and judicial institutions. In order for the EU to adopt policies that concern defence and foreign affairs, all member states must agree unanimously. The European Union was founded on November 1, 1993 in Maastricht, Netherlands. Before 1993, the EU was not as big as it is today. European countries started to cooperate economically since 1951, when only states such as Belgium, France, Luxembourg, Germany, The Netherlands and Italy participated. Gradually, more countries decided to join. The last to join is Croatia – in 2013. * UK is leaving EU on March 29, 2019 after its citizens voted pro such decision on June 2016. Austria is a member country of the EU since January 1, 1995 with its geographic size of 83,879 km², and population number 8,576,234, as per 2015. Austrians comprise 1.7% of the total EU population. Its capital is Vienna and the official language in Austria is German. Austria’s Gross Domestic Product (GDP) is €337.162 billion, as per 2015. The political system is a Federal Parliamentary Republic and its currency is the Euro (€), since Austria became a member of the Eurozone on January 1, 1999. Austria holds 18 seats in the European Parliament, while it held the revolving presidency of the Council of the EU twice, once in 1998 and in 2006. Austria is also a member of the Schengen Area since December 1, 2007. Belgium is a member country of the EU since January 1, 1958 with its geographic size of 30,528 km², and population number 11,258,434, as per 2015. Belgians comprise 2.2% of the total EU population. Its capital is Brussels and the official languages in Belgium are Dutch, French, and German. The Gross Domestic Product (GDP) is €409,407 billion, as per 2015. Its currency is € (Euro), from Belgium became a member of the Eurozone on January 1, 1999. The political system in Belgium is a federal parliamentary constitutional monarchy. Bulgaria is a member country of the EU since January 1, 2007 with its geographic size of 110,370 km², and population number 7,202,198, as per 2015. Bulgarians comprise 1.4% of the total EU population. Its capital city is Sofia, and the official language in Bulgaria is Bulgarian. The Gross Domestic Product (GDP) is €44,162 billion, as per 2015. Its currency is the Bulgarian Lev (BGN). The political system in Bulgaria is a parliamentary republic. Bulgaria holds 17 seats in the European Parliament and will hold the revolving presidency of the Council of the EU for the first time in 2018. Bulgaria is not a member country of the Schengen Area. Croatia is a member country of the EU since July 1, 2013 with its geographic size of 56,594 km², and population number 4,225,316, as per 2015. Croatians comprise 0.8% of the total EU population. Its capital is Zagreb and the official language in Croatia is Croatian. The Gross Domestic Product (GDP) is €43,897 billion, as per 2015. Croatia’s currency is Croatian Kuna HRK. The political system is a parliamentary republic. Croatia holds 11 seats in the European Parliament and will hold the revolving presidency of the Council of the EU for the first time in the first half of 2020. Croatia is not a member country of the Schengen Area. Cyprus is a member country of the EU since May 1, 2004 with its geographic size of 9,251 km², and population number 847,008, as per 2015. Cypriots comprise 0.2% of the total EU population. Its capital is Nicosia and the official language in Cyprus is Greek. The Gross Domestic Product (GDP) is €17,421 billion, as per 2015. Cyprus’ currency is Euro (€) since it became a member of the Eurozone on January 1, 2008. The political system is a presidential republic. Cyprus holds 6 seats in the European Parliament and has held the revolving presidency of the Council of the EU once in 2012. Cyprus is not a member country of the Schengen Area. The Czech Republic is a member country of the EU since May 1, 2004 with its geographic size of 78,868 km², and population number 10,538,275, as per 2015. Czechs comprise 2.1% of the total EU population. Its capital is Prague and the official language is Czech. The Gross Domestic Product (GDP) is €163,947 billion, as per 2015. The Czech Republic’s currency is the Czech Koruna (CZK). The political system is a parliamentary republic. Denmark is a member country of the EU since January 1, 1973 with its geographic size of 42,924 km², and population number 5,659,715, as per 2015. The Danish comprise 1.1% of the total EU population. Its capital is Copenhagen and the official language in Denmark is Danish. The Gross Domestic Product (GDP) is €266.244 billion, as per 2015. Its currency is the Danish Krone (DKK). The political system is a parliamentary constitutional monarchy. Denmark holds 13 seats in the European Parliament and held the revolving presidency of the Council of the EU 7 times between 1973 and 2012. Denmark is a member country of the Schengen Area since March 25, 2001. Estonia is a member country of the EU since May 1, 2004 with its geographic size of 45,227 km², and population number 1,313,271, as per 2015. The Estonians comprise 0.3% of the total EU population. Its capital is Tallinn and the official language is Estonian. The Gross Domestic Product (GDP) is €20.461 billion, as per 2015. Estonia’s currency is Euro (€) since it became a member of the Eurozone on January 1, 2011. The political system is a parliamentary republic. Finland is a member country of the EU since January 1, 1995 with its geographic size of 338,440 km², and population number 5,471,753, as per 2015. The Finnish comprise 1.1% of the total EU population. Its capital is Helsinki and the official languages in Finland are Finnish and Swedish. The Gross Domestic Product (GDP) is €207.220 billion, as per 2015. Finland’s currency is Euro (€) since it became a member of the Eurozone on January 1, 1999. The political system is a parliamentary republic. France is a member country of the EU since January 1, 1958 with its geographic size of 633,187 km², and population number 66,415,161, as per 2015. The French comprise 13.1% of the total EU population. Its capital is Paris and the official language is French. The Gross Domestic Product (GDP) is €2.184trillion, as per 2015. France’s currency is Euro (€) since it became a member of the Eurozone on January 1, 1999. The political system is a semi-presidential republic. Germany is a member country of the EU since January 1, 1958 with its geographic size of 357,376 km², and population number 81,197,537, as per 2015. The Germans comprise 16% of the total EU population. Its capital is Berlin and the official language is German. The Gross Domestic Product (GDP) is €3.026 trillion, as per 2015. Germany’s currency is Euro (€) since it became a member of the Eurozone on January 1, 1999. The political system is a federal parliamentary republic. Germany holds 96 seats in the European Parliament and held the revolving presidency of the Council of the EU 11 times between 1958 and 2007. Germany is a member country of the Schengen Area since March 26, 1995. Greece is a member country of the EU since January 1, 1981 with its geographic size of 131,957 km², and population number 10,858,018, as per 2015. Greeks comprise 2.1% of the total EU population. Its capital is Athens and the official language is Greek. The Gross Domestic Product (GDP) is €176.023 billion, as per 2015. Greece’s currency is Euro (€) since it became a member of the eurozone on January 1, 2001. The political system is a parliamentary republic. Greece holds 21 seats in the European Parliament and held the revolving presidency of the Council of the EU 5 times between 1983 and 2014. Greece is a member country of the Schengen Area since January 1, 2000. Hungary is a member country of the EU since May 1, 2004 with its geographic size of 93,011 km², and population number 9,855,571, as per 2015. Hungarians comprise 1.9% of the total EU population. Its capital is Budapest and the official language is Hungarian. The Gross Domestic Product (GDP) is €108.748 billion, as per 2015. Hungary’s currency is Hungarian Forint (HUG). The political system is a parliamentary republic. Hungary holds 21 seats in the European Parliament and held the revolving presidency of the Council of the EU once in 2011. Hungary is a member country of the Schengen Area since December21, 2007. Ireland is a member country of the EU since January 1, 1973 with its geographic size of 69,797 km², and population number 4,628,949, as per 2015. The Irish comprise 0.9% of the total EU population. Its capital is Dublin and the official languages in Ireland are Irish and English. The Gross Domestic Product (GDP) is €214.623 billion, as per 2015. Ireland’s currency is Euro (€) since it became a member of the Eurozone on January 1, 1999. The political system is a parliamentary republic. Ireland holds 11 seats in the European Parliament and held the revolving presidency of the Council of the EU 7 times between 1975 and 2013. Ireland is not a member country of the Schengen Area. Italy is a member country of the EU since January 1, 1958 with its geographic size of 302,073 km², and population number 60,795,612, as per 2015. The Italians comprise 12% of the total EU population. Its capital is Rome and the official language in Italy is Italian. The Gross Domestic Product (GDP) is €1.636 trillion, as per 2015. Italy’s currency is Euro (€) since it became a member of the Eurozone on January 1, 1999. The political system is a parliamentary republic. Italy holds 73 seats in the European Parliament and held the revolving presidency of the Council of the EU 12 times between 1959 and 2014. Italy is a member country of the Schengen Area since October 26, 1997. Latvia is a member country of the EU since May 1, 2004 with its geographic size of 64,573 km², and population number 1,986,096, as per 2015. Latvians comprise 0.4% of the total EU population. Its capital is Riga and the official language is Latvian. The Gross Domestic Product (GDP) is €24.378 billion, as per 2015. Latvia’s currency is Euro (€) since it became a member of the Eurozone on January 1, 2014. The political system is a parliamentary republic. Lithuania is a member country of the EU since May 1, 2004 with its geographic size of 65,286 km², and population number 2,921,262, as per 2015. Lithuanians comprise 0.6% of the total EU population. Its capital is Vilnius and the official language is Lithuanian. The Gross Domestic Product (GDP) is €37.124 billion, as per 2015. Lithuania’s currency is Euro (€) since it became a member of the Eurozone on January 1, 2014. The political system is a parliamentary republic. Luxembourg is a member country of the EU since January 1, 1958 with its geographic size of 2,586 km², and population number 562,958, as per 2015. Luxembourgers comprise 0.1% of the total EU population. Its capital is Luxembourg and the official languages in Luxembourg are French and German. The Gross Domestic Product (GDP) is €52.112 billion, as per 2015. Luxembourg’s currency is Euro (€) since it became a member of the Eurozone on January 1, 1999. The political system is a parliamentary constitutional monarchy. Malta is a member country of the EU since May 1, 2004 with its geographic size of 315 km², and population number 429,334, as per 2015. The Maltese comprise 0.1% of the total EU population. Its capital is Valletta and the official language is Maltese. The Gross Domestic Product (GDP) is €8.796 billion, as per 2015. Malta’s currency is Euro (€) since it became a member of the Eurozone on January 1, 2008. The political system is a parliamentary republic. The Netherlands is a member country of the EU since January 1, 1958 with its geographic size of 41,542 km², and population number 16,900,726, as per 2015. The Dutch comprise 3.3% of the total EU population. Its capital is Amsterdam and the official language is Dutch. The Gross Domestic Product (GDP) is €678,572 billion, as per 2015. Netherlands’ currency is Euro (€) since it became a member of the Eurozone on January 1, 1999. The political system is a parliamentary constitutional monarchy. The Netherlands holds 26 seats in the European Parliament and held the revolving presidency of the Council of the EU 12 times between 1960 and 2016. The Netherlands is a member country of the Schengen Area since March 26, 1995. Poland is a member country of the EU since May 1, 2004 with its geographic size of 612,679 km², and population number 38,005,614, as per 2015. The Polish comprise 7.5% of the total EU population. Its capital is Warsaw and the official language is Polish. The Gross Domestic Product (GDP) is €427.737 billion, as per 2015. Poland’s currency is the Polish Zloty (PLN). The political system is a parliamentary republic. Poland holds 51 seats in the European Parliament and held the revolving presidency of the Council of the EU once in 2011. Poland is a member country of the Schengen Area since December 21, 2007. Portugal is a member country of the EU since January 1, 1986 with its geographic size of 92,226 km², and population number 10,374,822, as per 2015. The Portuguese comprise 2% of the total EU population. Its capital is Lisbon and the official language is Portuguese. The Gross Domestic Product (GDP) is €179.379 billion, as per 2015. Portugal’s currency is Euro (€) since it became a member of the Eurozone on January 1, 1999. The political system is a semi-presidential republic. Romania is a member country of the EU since January 1, 2007 with its geographic size of 238,391 km², and population number 19,870,647, as per 2015.The Romanians comprise 3.9% of the total EU population. Its capital is Bucharest and the official language is Romanian. The Gross Domestic Product (GDP) is €160.353 billion, as per 2015. Romania’s currency is Romanian Leu (RON). The political system is a semi-presidential republic. Slovakia is a member country of the EU since May 1, 2004 with its geographic size of 49,035 km², and population number 5,421,349, as per 2015. Slovaks comprise 2.2% of the total EU population. Its capital is Bratislava and the official language is Slovak. The Gross Domestic Product (GDP) is €78.071 billion, as per 2015. Slovakia’s currency is € (Euro) since it became a member of the Eurozone on January 1, 2009. The political system in Slovakia is a parliamentary republic. Slovenia is a member country of the EU since May 1, 2004 with its geographic size of 20,273 km², and population number 2,062,874, as per 2015. The Slovenians comprise 0.4% of the total EU population. Its capital is Ljubljana and the official language is Slovenian. The Gross Domestic Product (GDP) is €38.543 billion, as per 2015. Slovenia’s currency is Euro (€) since it became a member of the Eurozone on January 1, 2007. The political system is a parliamentary republic. Slovenia holds 8 seats in the European Parliament and held the revolving presidency of the Council of the EU once in 2008. 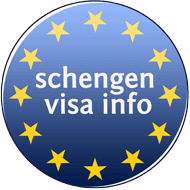 Slovenia is a member country of the Schengen Area since December 21, 2007. Spain is a member country of the EU since January 1, 1986. Its geographical size is 505,944 km², while the population number in 2015 was 46,449,565. The Spanish comprise 9.1% of the total EU population. Its capital is Madrid. Gross Domestic Product (GDP) is €1.081trillion. The official language in Spain is Spanish. The political system is a parliamentary constitutional monarchy. Spain holds 54 seats in the European Parliament and held the revolving presidency of the Council of the EU 4 times between 1989 and 2010. Spain’s currency is Euro (€) and became a member of the Eurozone since January 1, 1999. Spain is a member country of the Schengen Area since March 26, 1995. Sweden is a member country of the EU since January 1, 1995 with its geographic size of 438,574 km², and population number 9,747,355, as per 2015. The Swedes comprise 1.9% of the total EU population. Its capital is Stockholm and the official language is Swedish. The Gross Domestic Product (GDP) is €444.235 billion, as per 2015. Sweden’s currency is the Swedish Krona (SEK). The political system is a parliamentary constitutional monarchy. Sweden holds 20 seats in the European Parliament and held the revolving presidency of the Council of the EU twice, in 2001 and 2009. Sweden is a member country of the Schengen Area since March 25, 2001. The United Kingdom is a member country of the EU since January 1, 1973 with its geographic size of 248,528 km², and population number 64,875,165, as per 2015. The English comprise 12.8% of the total EU population. Its capital is London and the official language is English. The Gross Domestic Product (GDP) is €2.569 trillion, as per 2015. The United Kingdom’s currency is the Pound Sterling (GBP). The political system is a parliamentary constitutional monarchy. The United Kingdom holds 73 seats in the European Parliament and held the revolving presidency of the Council of the EU 5 times between 1997 and 2005. The United Kingdom is not a member country of the Schengen Area. The European Union’s aim back in the days was to end the frequent bloody wars between neighbour states that have culminated in the Second World War. In 1950, the European Coal and Steel Community began the uniting of European countries economically and politically to gain a lasting peace. In 1957, the Treaty of Rome created the European Economic Community (EEC) or the ‘Common Market’. This brought a good period for the economy, as the EU countries stopped charging customs duties when trading with each other. In 1973, Denmark, Ireland, and the United Kingdom formally decided to join the European Union, becoming nine member states altogether. Later, in 1986 the Single European Act was signed, which also created the ‘Single Market’. The 1990s are also a decade of treaties: the ‘Maastricht’ Treaty on the European Union in 1993 and the treaty of Amsterdam in 1999. In 1995, the EU gets further enlarged with three more members joining: Austria, Finland, and Sweden. During the 1990s, a small village in Luxembourg gives its name to the ‘Schengen’ agreements that would gradually allow people to travel without having their passports checked at the borders within the area. In the 2000s, the euro becomes the new currency for many Europeans, and during the following decade, more countries adopt the euro (€). The political divisions, during the 2000s, between the east and west Europe finally heal and 10 more new countries join the EU in 2004, followed by Bulgaria and Romania joining in 2007. In 2008, a financial crisis hits the global economy. Therefore, the Treaty of Lisbon enters into force in 2009, providing the EU with modern institutions and more efficient working methods. In 2013, Croatia becomes the 28th member to enter the EU. Presently the increase of religious extremism in the Middle East, as well as in various other countries and regions around the world, lead to wars and turmoil, which resulted in many people fleeing their home countries and seeking refuge in Europe. The EU now finds itself as the target of several terrorist attacks, while being faced with the dilemma of how to take care of the refugees. 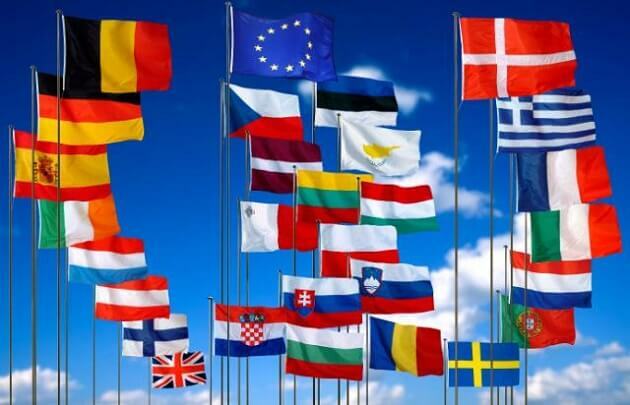 Currently, 22 countries located in the continent of Europe, are not part of the European Union. However, five of them are in the process of integrating the EU legislation into national law, while two others are potential candidates, which have yet not fulfilled all the requirements for EU membership. *Countries that are in the process of integrating the EU legislation into national law. **Potential candidate countries that do not yet fulfil the requirements for EU membership. How many citizens does the European Union have? As of 1 January 2016, the population of the EU is about 510.1 million people. Is Ukraine in the EU? No. Ukraine is not a member of the EU. Yes. Hungary is a member country of the EU since May 1, 2004. 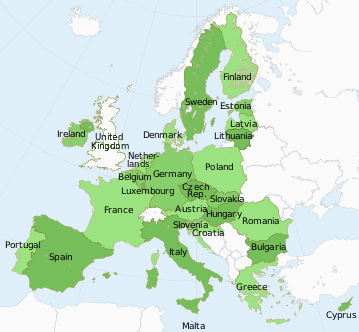 EU countries and Schengen countries are both European countries. EU countries are those European countries which are a part of the European Union and have signed the treaties of the European Union. EU countries have to maintain their own national military and foreign policies, but are bound to judicial and legislative institutions of the EU. Schengen countries are those European countries which have signed the Schengen Agreement. These countries operate as a single state with no border controls required when traveling within the countries, but have the same international border control rules. The EEA includes all EU countries and also Iceland, Liechtenstein and Norway. EFTA stands for the European Free Trade Association. It is a regional trade organization and free trade area consisting of Iceland, Liechtenstein, Norway and Switzerland. None of these countries are part of the European Union, but aside of Switzerland, others are all part of the European Economic Area. Its free trade agreements foresee the elimination of import duties on industrial goods and fish. In addition, the EFTA States have added substantive rules and commitments on services, investment and/or public procurement to the agreements as a response on globalization.